Death row inmates who challenged their method of death lost their case in Tennessee, but that's not the end of it. The case is now headed to the United States Supreme Court and could bring planned executions to a grinding halt. 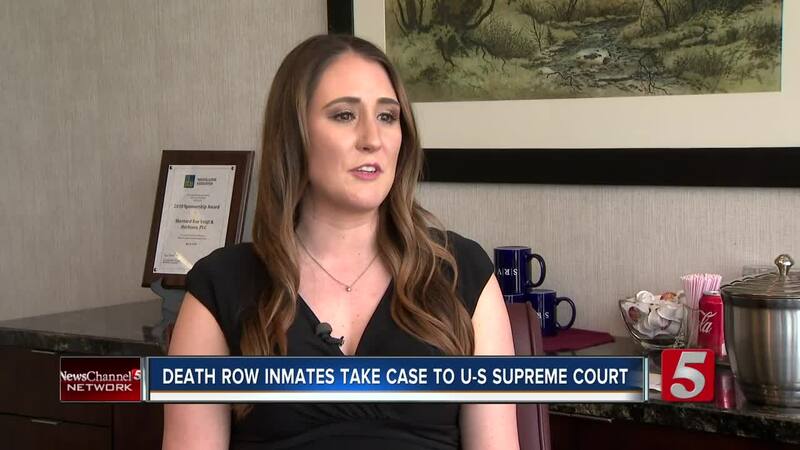 NASHVILLE, Tenn. (WTVF) — Death row inmates who challenged their method of death lost their case in Tennessee, but that's not the end of it. The case is now headed to the United States Supreme Court and could bring planned executions to a grinding halt. "This is our first such brief and we are excited to be a part of it," said Hannah Cox. But she said that's changing. The group is siding with Donnie Johnson, who killed his wife, and 22 other Tennessee death row inmates -- for the first time taking their case to the U.S. Supreme Court. "This is a great way to highlight how ridiculous the system has gotten," said Cox. "This is a fundamental fairness issue," added attorney Amy Rao Mohan. She said it was wrong when late last year the state upheld the use of the three-drug execution cocktail, which critics say can cause great pain. Rao Mohan said key documents on other drugs and their manufacturers which the state works with were redacted. As a result, inmates were not given the opportunity to show there are more humane drug alternatives. "When someone is fighting for their life they at least deserve a fair chance," said Rao Mohan. The petitions were filed with the highest court, and if the case moves forward, it could put executions in Tennessee back on hold for months if not years. The U.S. Supreme Court will issue a ruling before Tennessee's next execution. Donnie Johnson is scheduled to be executed next in Tennessee on May 16. The state attorney general issued a response to the filings urging the high court not to take the case and to affirm the actions of the Tennessee Supreme Court.